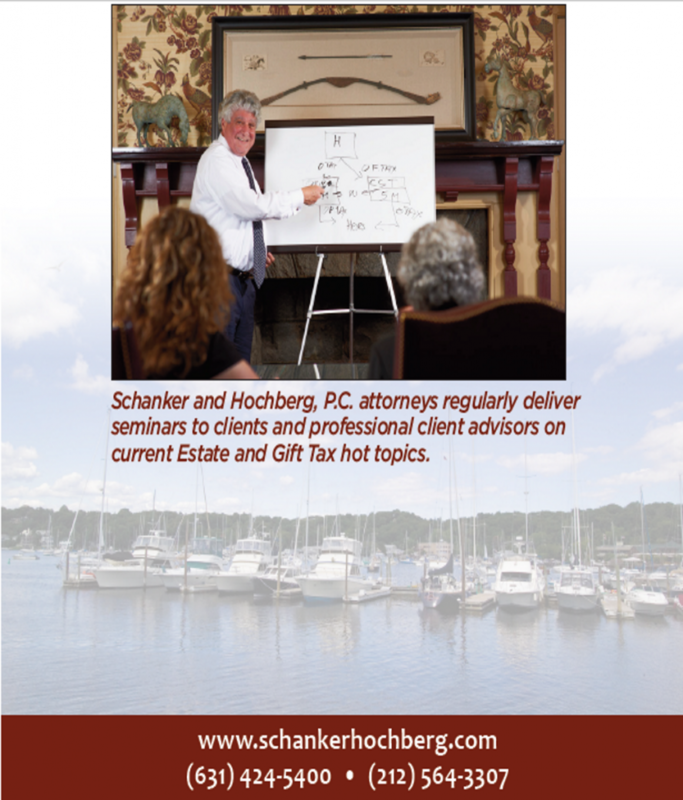 September 2015 Newsletter - Schanker and Hochberg, P.C. The Family Limited Partnership (the “FLP” or Limited Liability Company, “the LLC”) is a widely used Estate Planning strategy that provides wealth preservation and asset protection for people who are vulnerable to a State and/or Federal Estate Tax. This strategy gifts assets (under the control and direction of the Partnership or Operating Agreement) to beneficiaries at a discounted rate so that the wealthy client can maximize their lifetime gift tax exemption. The IRS aims to curtail the use of this strategy very soon. If you currently have a Family Limited Partnership, LLC, or are considering this strategy for the first time, it is imperative that you schedule a consultation to discuss this further. The IRS seeks to disallow any discounts if the assets of the FLP or LLC are anything other than an operating business. For example, many of our clients have used their investment accounts to fund the FLP or LLC; however, this is the type of asset that the IRS may not allow a discounted value to be applied to the value of a gift. Currently, the New York Estate Tax Exclusion is $3,125,000 and will rise to eventually match the Federal Estate Tax Exemption in 2019 which is projected to be approximately $5.9 million. The current Federal Estate Tax Exemption is $5.43 million per person. People with assets in excess of these thresholds commonly use strategies such as the FLP to reduce the value of their taxable Estate. Please contact us to schedule a consultation to see if this planning is appropriate for you. When a client comes to us for an Estate Plan, their primary focus is usually to design a plan to distribute their assets at time of death. Traditionally, a Last Will and Testament is the document used. This is the simplest method of documented Estate Planning. However, wise Estate Planning not only includes a written plan of distribution (not to mention the myriad of other planning considerations far too broad to be included in this article), but also a method to simplify the process and lessen delays and expenses. 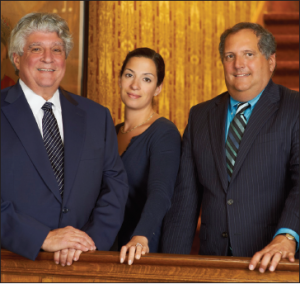 We use beneficiary designations, gifting, and various Trusts to avoid Probate and mitigate impending Estate Taxes. It is especially important to have an experienced Attorney coordinate this planning so that it is done correctly. 1. Gifting highly appreciated real estate to adult children. 2. Naming the Estate as a beneficiary of Life Insurance benefits. Do not do this. First, life insurance is inherently ‘asset protected’ meaning it is difficult for creditors to stake a claim against life insurance proceeds. However, if you name your Estate (by Will or Revocable Living Trust), then the life insurance becomes vulnerable to all creditors who have any claim against your Estate, not to mention Probate. If you desire control about how distributions are made to your beneficiary(ies), then it is best to create an Irrevocable Life Insurance Trust which will maintain asset protection. 3. Naming a minor as a beneficiary of a Life Insurance policy. proceeds for the benefit of someone who is under the age of 18. Once that individual turns 18, then the proceeds are legally theirs; the prospect of someone so young having free reign over any amount of significant money is inherently problematic. SOLUTION: Create an Irrevocable Life Insurance Trust to not only provide creditor protection of the proceeds but also to direct administration of the proceeds for the benefit of minors. You can create a distribution schedule so that proceeds are distributed over time and under the management of a Trustee of your choosing. 4. Naming a person with Disabilities or who is over the age of 65 who receives Medicaid or may need to receive Medicaid assistance as a direct beneficiary of anything. Medicaid and Social Security Disability are needs-based government programs. Inheritance will interfere with eligibility and continued benefits as well as jeopardize those assets. A ‘Supplemental Needs Trust’ can receive the inheritance and provide support for someone in these circumstances without interfering with needs-based, public programs. This is a specialized Trust and is a wonderful tool. An important Estate Planning philosophy is to protect your beneficiaries from their ‘inability, disability, creditors and predators.’ Inability pertains to naïvity due to age, inexperience, and level of maturity. Disability is rather self explanatory. Creditors are people who may have a legal claim against an individual and predators those people who manipulate, coerce, and exert undue influence over a beneficiary to access their assets. Good planning has you recognizing your heirs as they really are, not how you would like them to be. The Estate Planning toolbox has strong strategies to protect your legacy. Contact us at either (631) 424-5400 or (212)564-3307. Medicaid is a needs-based, government benefit which provides for either in-home care (called “Community Medicaid”) or Nursing Home Medicaid. In order to qualify for either program and receive care, the applicant must meet the financial threshold test based on two prongs: (1) monthly income and (2) available resources (assets). For Community Medicaid, the 2015 thresholds dictate that a single person who is 65 years old or older will meet the threshold as long as his/her income does not exceed $845 per month and available resources do not exceed $14,850 (not including the primary residence where he/she resides as long as the value is not in excess of approximately $828,000). There are strategies to transfer assets in order to become eligible. There is no penalty period or “look back” period for Community Medicaid so you can transfer assets this month and be eligible in about three (3) months for Medicaid coverage. The three (3) month wait period is used for processing of the application documentation. Excess income will also have to be addressed in a particular way if income exceeds the threshold. For Nursing Home Medicaid, the applicant is limited to $50 of income per month and the $14,850 of resources. There will be a lien against the home if it is in the recipient’s name. There is a five (5) year look-back period for non-exempt transfers and then a penalty period applied before Medicaid will begin to pay for Nursing Home Care. Upon death of a Medicaid recipient, the State of New York will look to be reimbursed for the cost of the care provided while the recipient was receiving Medicaid out of assets in the Probate Estate (assets in the deceased’s name). 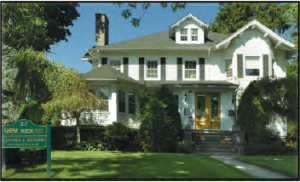 While the home is exempt for Medicaid eligibility (if the equity is below the $828,000 threshold), the home may likely be subject to a Medicaid claim/lien at time of death without proper planning in place to avoid such an outcome. Once eligibility is established, there are also rules about how the program functions. Services are no longer paid for by a ‘pay for service’ design. There is now a ‘managed long term care’ system in place to provide services. Furthermore, each year the Medicaid recipient must submit a recertification in order for his/her benefits to continue. Medicaid rules are very intricate. There are ways to plan for future eligibility and to protect assets from being vulnerable to claims orliens should Medicaid be necessary. The establishment of an “Irrevocable Medicaid Income Only Trust” is a very popular planning device. However, once assets are transferred into such a Trust, they are no longer available for unlimited, personal use. This planning must be coordinated with your general Estate Plan. It is always beneficial to have a consultation in order to understand your rights and consequences. There are many service providers who issue a notice (usually by mail) to inform homeowners that they must have a certified, recorded Deed and that for a fee (usually anywhere between $60 and $120) they will obtain this for you. This service is unnecessary and extremely overpriced. First, a copy of your Deed will usually (absent extreme and unusual circumstances) be recorded with the County Clerk’s office. You can obtain a copy by going directly to the County Clerk’s office for a fraction of the cost this service quotes you. Second, you do not require a certified copy of your Deed absent, again, extreme and unusual circumstances. Third, you can request a copy of the recorded Deed from a title company for a fraction of the cost this ‘deed retrieval service’ proposes. Fourth, in many counties you can even obtain a copy online. Many of our clients have come to us after they receive a notice from a service like this. We encourage you to ask us first before you pay for a service such as this. It may very likely be completely unnecessary. of luck with her new endeavor. New York State‘s Office of the State Comptroller oversees the Unclaimed Funds program. According to the website (www.osc.state.ny.us/ouf/) there has already been $271,992,601 of unclaimed funds returned in 2015 so far. What is this? Unclaimed funds can be any account that you forget about and ultimately abandon (for example a utility deposit or a small bank account). We are happy to perform a search for you if you are a client. However, you can visit the website and search for yourself. Search for your family and friends as well – they will love you for it, especially if you find them some lost money! If you find yourself entitled to returned funds, there are explicit instructions and forms available on the website. If you find that a deceased person is entitled to an unclaimed fund, please contact us so we can assist you in the process as this usually requires a Probate or Administration in the Surrogate’s Court. We prepare and distribute these to all of our clients when there are significant Estate and Gift Tax changes or changes of Law that could impact our clients. Andrea B. Schanker, Esq. — Partner, received her Bachelor of Arts degree in Clinical Psychology from University of Rochester in 1999 and her Juris Doctor from New York Law School. 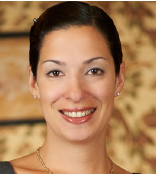 Andrea is a licensed member of the New York and New Jersey Bar Associations. 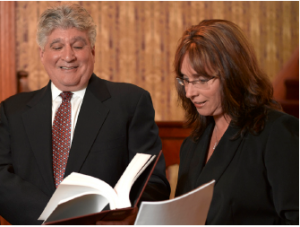 She is the 2016-2017 President of the Huntington Lawyers’ Club, a member of the Suffolk County Bar Association and a member of the New York State Bar Association where she is an active member within the Trusts and Estates Section and the Elder Law and Special Needs Section. Ms. Schanker is also a member of the American Bar Association. Ms. Schanker joined Schanker and Hochberg P.C., in 2004 as an Associate Attorney specializing in Estate Planning, Estate Administration, Business Succession Planning, and Elder Law. She regularly delivers Estate Planning presentations to professionals in the financial industry and their clients. Ms. Schanker also regularly advises accountants, financial advisors, and insurance advisors in connection with her areas of expertise. 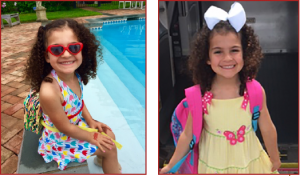 Andrea lives in Huntington with her husband, Michael Abruzzo, and their daughters, Patricia Gertrude Abruzzo and Sylvia Grace Abruzzo.